The union organised demonstrations from Harare Gardens to Public Service, Labour and Social Services Minister Prisca Mupfumiraâs offices to hand over a petition outlining the grievances of civil servants. Zimbabwe Teachers Association, the largest teachers union in the country chief executive Mr Sifiso Ndlovu, urged the educators to report for duty and not to be swayed by political parties masquerading as teachersâ representatives. 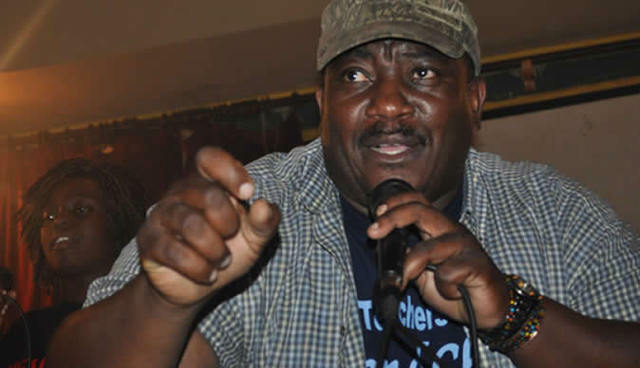 âAs far as we are concerned, ITUC has declared February 18 as a World Strike Day, but our approach to that in Zimbabwe is we should go into a discourse as to when and how a strike can be held,â he said. âThis is not about demonstrations, but just an affirmation of the right to collective bargaining and the right to strike espoused in Convention number 98 and 87, which is fundamental in any law. Mr Ndlovu said it was clear that PTUZ was playing to the gallery of Western organisations, where they get most of their funding. âIf you want to play to the gallery of the international community who direct you to engage in demonstrations because you believe there is no democracy, it is up to you,â he said. Teachers Union of Zimbabwe chief executive Mr Manuel Nyawo, accused PTUZ of being a conduit of Western organisations. As such, he said, teachers should ignore the calls for a demonstration and report for duty. âWe have long established that the PTUZ has sadly been used as a conduit to cause instability in the civil service by any means at their disposal through a hidden political hand,â Mr Nyawo said. He said teachers could not dump classrooms and come to a gathering headed by political morons. PTUZ insisted the demonstrations would go ahead. âWe have duly notified the Zimbabwe Republic Police of this action happening between 12pm and 2pm,â the union said on its Facebook page. âThose interested are free to join . . . We are doing this for all workers and civil servants and largely because it is our right as workers. We should never be intimidated by any force or any group because these are pure labour matters and our demands are not borrowed, forced on to us nor are they being imported from outside Zimbabwe.